Back in the spring some conversations led me to think that “Critical and Creative Design” captured better the spirit of the main program I teach in than its actual name, “Critical and Creative Thinking.” In May I got to meet a teacher from the School for Designing a Society, http://www.designingasociety.net/. So it seemed timely to learn more about the School and explore possible collaborations with the CCT program. 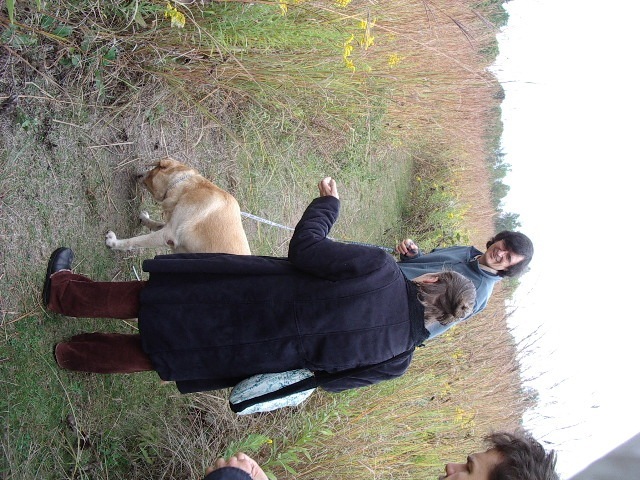 The first day of our visit included a walk and talk in restored prairie land. 2. Permaculture—the social side of this is the hardest to achieve and it is downplayed by most permaculturists. 3. Architect Christopher Alexander’s pattern pools. 4. Premise: We want (or desire) another society. Society needs to change to realize our desires. 5. SDaS has organizers, not teachers; participants, not students. 6. Composition (like design)–compose the contexts in which desires can be realized (e.g., for music based on 17 tones to the octave). 7. Musical composition shares structures with cybernetics (which SDaS’ers refer to a lot). 9. Cybernetic theory is referred to a lot. A Larry Richards Reader is a good introduction. Ben Schwendener, a musician, composer, teacher of music and composing, began teaching a graduate Seminar on Creativity online May 31. As director of the Program (Critical & Creative Thinking) I was invited to listen in and even participate as a student. The project I decided to develop during the course is the Collaborative for Exploration of Scientific and Political Change. The posts to follow will show the unfolding of my thinking. My current understanding of Ben’s critique of method is that to work from method is to pursue the horizontal without attention to the vertical unity of elements upon which change flows naturally. An example of this problem might be a curriculum that says topics A-H must be covered, in contrast to identifying the six themes that underlie the subject matter (as proposed by science educator Paul Jablon, Lesley University) or my 4R’s (Respect->Risk->Revelation->Re-engagement) of developing as a collaborator or the many Rs of developing as a Reflective Practitioner during the CCT program of studies. Another way of stating this example is to consider the desired outcome. The student who has taken the required subjects is assumed to be able to draw on the knowledge (subject to an inevitable decay if the knowledge is not used), but a student who appreciates the six themes approach has a coherent, integrated perspective from which to address future areas of learning. What doesn’t yet fit in this understanding of the Vertical/unity and Horizontal/change are the themes that emerge from Strategic Planning or the Future Ideal Retrospective activities. These themes are the names given to clusters of brainstormed items and, in my teaching, the names should denote movement or change—how this cluster of items speaks to moving us towards the future ideal. I wonder, could these movement-change themes be elements of a vertical unity (even though change, as I understand it, is supposed to be associated with the horizontal)? B.S. 6/14 email: -yes. Consider as ‘Supra-Vertical’ or Formal Elements functioning as active components of the whole. For the Collaborative, the elements might be the tools and processes used in PBL and the connections made through addressing the PBL scenarios when these tools, processes, and connections produce participants who can take them into new situations. (I call this flexible engagement: “An ideal in which researchers in any knowledge-making situation are able to connect quickly with others who are almost ready—either formally or otherwise—to foster participatory processes and, through the experience such processes provide their participants, contribute to enhancing the capacity of others to do likewise.” [Unruly Complexity (2005, p. 225)].) This is in contrast to thinking of change as referring to any real-world issue contained in the PBL scenario. Although PBL could be designed for a group that is prepared to act, CESPOC stays clear of claiming to convene or be the basis for such groups. Instead, it is learning and developing support for learning that would go into CESPOC’s still-to-be-clarified vertical unity. How to act within a complex system, where there are consequences and impacts and where challenging our own privilege confronts us with difficulties in assenting to leadership from marginalized groups? What are open spaces—or what could they be—that help address this question? What is a design process to form, renovate, remodel, restructure our open spaces? Bringing in the notion of a design process here suggests that we start from some observations or guidelines, four of which emerged from my review of the first day of autobiographical introductions, discussion, and reflection. Our formation (used here to signify something more expansive than our schooling) involves opportunities offered and taken as well as setbacks turned int new opportunities—sometimes arising in formal settings; other times in retreats or alternative institutions. Interests in new ways of thinking and living develops in a range of settings—counter-cultural (i.e., experimenting with building the institutions we want for the future), D.I.Y. culture, blue-collar “let’s all work together fixing this old car”—from movement among places (including finding a way out of isolation), and from interventions by key teachers and in key classes at school and college. The tension between individual and collective in D.I.Y. (etc.) culture [see #3] and between making do and transcending previous limits is evident in many related tensions, such as, focusing on the figure versus seeing the ground (i.e., context) that contains the figure, between tightly controlled engineering and navigating the social realm, between becoming acquainted with something and enacting/embodying it. The workshop “Open Spaces for Changing Science and Society” sought applications from “teachers and researchers who are interested in moving beyond their current disciplinary and academic boundaries to explore concepts and practices that help us work in the arena bordered on one side by critical interpretation of the directions taken by scientific and technological research and application and on the other side by organizing social movements so as to influence those directions. The metaphor of “open spaces” suggests that the issue is not so much to bridge the two sides as it is to acknowledge the value of discussion, reflection, and clarifying one’s identity and affinities with both sides kept in view. At the start of each day participants undertook daily writing on the theme of the workshop. My own writing makes up the next few posts. The first challenge is to articulate, enact, and embody principles for open spaces that are also conducive to—or even aspirations for—practitioners in the activist and academic realms. The second challenge is to identify the resistances—structured and individual-emotional—that lead people, including ourselves away from these principles in practice. The third challenge is to develop engagements and support for those engagements that move others beyond the resistances to enact and embody the principles. The fourth challenge is to convene open spaces that help us move forward on the first three challenges. A fifth challenge is to do all this without seeming cultish, as in “We have all the answers.” A possible antidote to cultishness is to remember that the product is more than the process—there are particular tasks that we have to do. (In my case, the tasks are researching, writing, teaching about critical thinking in the life and environmental sciences.) In those tasks, there is always learning to do, with a spirit of open questions. A sixth challenge—perhaps one for me personally—is how to balance the facilitation of process (and flexible engagement) with the product orientation. Taylor, P.J. (2005) Unruly Complexity: Ecology, Interpretation, Engagement. Chicago: U. Chicago Press. Periodically I find myself confused about my online presence and contributions. Am I using wikis, blogs, twitter, social networks, and email effectively? Effective by what criteria? Indeed, who am I trying to influence?